Jill DeWit: And I’m Jill DeWit broadcasting from southern, sunny California. 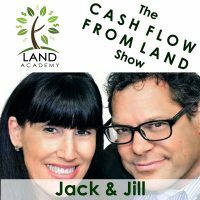 Steven Butala: Today Jill and I talk about how the perfect land acquisition makes you run to the bank. Steven Butala: We talk about jogging to the bank, sauntering to the bank. Jill DeWit: Walking away from the bank. Steven Butala: Meandering to the bank. Jill DeWit: Running out of the bank. Steven Butala: Strolling to the bank. Steven Butala: And full blown sprinting to the bank based on how good the deal is. Jill DeWit: This is the most that we talk. Steven Butala: Then the camera turns on and she’s like sweet Jill. Steven Butala: She’s not CEO Jill. Steven Butala: Before we get into it, let’s take a question posted by one of the members, one of our members, on the landinvestors.com online community. It’s free. Jill DeWit: Tim W. Asks, “A seller wants me to sell the farmland out behind her home, but wants to keep the home. How do you go about doing this? I’ve heard about subdividing after you buy a property, but I could not find information how to subdivide a property when you buy it. I don’t want to do the work, and pay the money, and not have it close. Property’s located in Vermilion Parish, Louisiana. Looking at about 40 ish acres, so survey is not going to be cheap. I did some searching and could not find a previous post. If there’s a step-by-step or a post that I missed previously, please send me a link. I greatly appreciate it.” Bonus … This is cute. “Bonus valuation information or question. They used to farm, rice, crawfish, and soybeans, but it’s currently not being farmed. Do you value farmland different than you do vacant parcels? There are not many parcels for sale in the Parish, and it’s quite remote. The typical websites are not giving very many properties to compare to.” This is a good one. Why don’t you go first. Steven Butala: This is a diamond. You found a little diamond here. Number one, when there’s agricultural property like this, there are very, very liberal, pro-user, pro-seller, pro-buyer rules that are rooted in the statutes in every state that I’ve ever checked. I have not checked Louisiana specifically, where this kind of thing happens all the time and you don’t have to go through a lengthy process at all. As an agricultural person or a farmer, you can probably literally walk into the county and say, “I need to separate my house APN from my farming APN.” I know for sure in the core agricultural states like Kansas and Iowa, that this is a two day process, maybe a one incident process. It’s very, very pro-agriculture, so my guess is this is a lot. You don’t have to go through subdivision. It’s a lot easier than that. Steven Butala: Number two, agricultural property is priced way differently that rural vacant land, or even [inaudible 00:03:31] lots. So, you got something here for sure and I’d stick with it. It might take a little while to close, but I think it’s worth doing. Jill DeWit: Almost sounds like the seller doesn’t even know what she has and what it’s worth obviously, because she’s not volunteering that information. She’s asking you as the expert, because you’re the investor, “What is it worth?” And that’s what you’re trying to figure out yourself. That’s a tough one sometimes and there are a lot of comps to pull from and figure it out. Steven Butala: Which is a good thing. Jill DeWit: I know, exactly. The good news is, if you aim for the real value as just vacant land, knowing that, it’s probably going to be worth more. And if your seller’s happy, that’s really what matters. If she’s happy with that other price that you’re comfortable with and she’s comfortable with … And hey, if there’s … And it’s worth more, great. You know what, you may not even know that. This is what’s interesting too. You’re the buyer, you’re going at this in good faith, and being a good person. You’re giving what you think it should be valued at, then you go sell it, right? Then maybe that person whom you buy it from knows it’s worth even more than that, that’s okay. Send it forward with love kind of thing. That’s how I feel. Steven Butala: Agricultural property is a commodity, so price per acre is very easy to find out. If you just go on Google and say, “Price per acre in Iowa for agricultural land,” you’ll get maps will pop up, really, really detailed. Universities do studies on this stuff every year to find out exactly, county by county, how much property’s worth. And the ranges are like this. Last time I looked at California, it’s about $11,000 an acre. Iowa, and Kansas, and the center states is closer to $3, to $4, to $5,000, to $6,000 an acre depending on where you are and how much water’s there. Rice and crawfish are very water intensive crops/farm. So that’s good, there’s water there, and probably fresh water. Jill DeWit: Probably a lot of water. Steven Butala: I love these kinds of deals. I would personally spend some time on this, because 40 acres, the home site’s probably an acre, so now you’re looking for 30 to 40 acres times $3 or $4,000 that you could make per acre theoretically is worth working on. Jill DeWit: That’s cool, thank you. Steven Butala: I included it because it’s fun. Jill DeWit: Yes, it’s different. Steven Butala: Yeah. Today’s topic, perfect land acquisition. The perfect land acquisition makes you run to the bank. This is the meat of the show. Jill DeWit: I love these scenarios, don’t you? Steven Butala: I love running to the bank. Jill DeWit: Exactly, you have these amazing, awesome deal scenarios, and you just can’t wait. It’s funny because sometimes it comes up on our member calls. We’ll have a deal review and we’ll get into it. This is how it usually happens. You don’t know. You really don’t know and you’re doing a deal review, or you’re reviewing your own, you’re doing your own due diligence. You start looking at the property, you know what you sent your offer on, you know what they’ve agreed to and here’s how it goes. You’re looking at it going, “This might not be right,” in a good way by the way. Jill DeWit: Like wait a minute. “Now I’m looking at the comps. Am I missing something?” This is what’s funny because we often second guess ourselves in these situations. All of a sudden you realize, a light bulb goes off, you’re like, “Wait a minute. I’m looking at this …” Like 10 acres in Colorado and you’re looking at this, this offer comes back, and you’re like, “Wait a minute, this can’t be right. I know I only offered X and they agreed to that, but now that I’m really looking at the comps and I see where it is on the map, holy cow. It’s not far from this area, look what’s going on over here. Oh my gosh, there are utilities up the line. Uh, oh, this is worth even more.” So that’s what happens sometimes, and then you start second guessing yourself. There’s a brief moment where we all second guess ourselves going, “Okay, I must be missing something because there’s no way that they agreed to this and I can buy it for this, but it’s really worth that.” That is a run to the bank situation, and it happens, and it will happen. Steven Butala: Yeah, for me to run to the bank, it’s a value thing. It’s not so much a use thing. So what gets me running to the bank is why they’re selling it, not so much the actual piece of property. Jill DeWit: That’s true, yeah. Steven Butala: So if I hear the seller say, and I don’t talk to the sellers much anymore, but if Jill tells me or her staff, for whatever reason it gets to me. If the seller’s saying something like … I just did actually like this. “The person’s really elderly, in fact they’re in and out of the hospital right now. The husband is with the wife 100% of the time and they’re tired of dealing with this and it’s been for sale on and off for a couple years at this retail price of more than a million dollars. Can you just send us a check for $50,000 and we’ll be done with it?” And they came up with the number, not me. Jill DeWit: Right, just want to get it out of their lives. Steven Butala: Off of the mailer that we sent. Yeah, that. That just happened to us. Jill DeWit: I love these. Steven Butala: It’s like watching a baseball game and just when somebody … And you’re sort of just … You’re watching it for so long, you stop paying attention, and someone knocks it out of the park. Steven Butala: It just gets your attention. Jill DeWit: That’s funny, that’s true. You know, what’s interesting too, it can happen more than once. I remember first getting into this business with you, and I remember there were a few times and I went, “What just happened?” It was run to the bank situation, it sold really fast. The guy who we sold it to still made more money. It was fantastic. I remember thinking, “Well that’s it. Mic drop, that’ll never happen again. That was our one and only, wow hit it out of the park, grand slam, never going to have one of those again.” Then a few months later, then here comes another one. I’m like, “What just happened?” I think too for us partially is, the volume that we send out. Jill DeWit: So I don’t want to give you false expectations. I want you think that you’re going to have one every year, every month, every whatever. It’s going to be in direct relationship to how much mail you send out too by the way, and how good you are at pricing these, and again it really comes down to the mail. You’re hitting these people with these situations, and even like the question we just answered. It sounded like the seller didn’t really know, didn’t really care, wanted to get some money from back there. I don’t know, what’s it worth? And looking to you to say, “All right, I’ll give you this,” kind of thing. She might be very happy with that and that’s okay. Jill DeWit: That’s great. So yeah, don’t get frustrated too. If this doesn’t happen to you, you think very often. Some people I think, there are run to the bank situations, but they’re just not run to the bank people. You know what I mean? They’re like, “Yeah, whatever.” So yeah, don’t get cocky and don’t get frustrated if you don’t feel you’re not getting these good situations. It’s really, to me, it’s volume, it’s just the nature of the business and what we’re doing, and the more mail I think. Steven Butala: If you send out 1500 units a month and you’re focusing on rural, vacant land, what you can expect is this. Some [inaudible 00:11:13] lots will be, just by the nature of the whole thing, will be thrown in there as acquisitions for you. You should expect to do a home run, bare minimum, once a year at 1500 units. We have people in our group sending out 10,000 units a month and as you would expect, they’re hitting stand up doubles, stand up triples, and they’re hitting a lot of singles. It’s all just a function of numbers. Here’s what’s … You will get a run to the bank situation. It’s very predictable. It’s not like fishing where you never really know what’s going to happen no matter how much equipment you have. You just don’t know if it’s going to be a good day or a bad day. Sending mail out that we do, and if you’re educated on pricing it and how to manage the inbound flow, it will yield predictable results. It’s between 300 and 350 units per property you purchase should be sent out. Steven Butala: That will never work. Steven Butala: That’ll dramatically negatively effect it. Jill DeWit: I throw all those away. I had one the other day, by the way, in the mail. It said my name or current resident. I’m like … I should have saved it, I don’t know what it was. 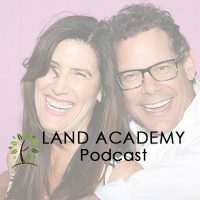 I’m like, “What was the point of that?” It was not land business, it was something for something else I was being solicited, but I thought it just … It stuck out to me because it looked so odd. Like, “You had my name right, why didn’t you trust yourself? If you really don’t care who gets it, why bother?” You know? And I’m like, it just rubbed me the wrong way. It’s so funny. Steven Butala: Testing, if you send out just 300 units and expect to buy property, that will probably fail, although we’ve had reports back of people sending out 10 letters and they buy a property. Jill DeWit: Well they were priced perfectly apparently. That’s the thing. Steven Butala: I’ve done a tiny little, what I call a “micro mailer” in the past for residences. Jill DeWit: That’s like a slot machine. I think that situation was like walking in and finding a dollar on the ground and putting it in a slot machine and winning. Jill DeWit: That can happen, but please don’t count on that because we know people in casinos that have done that. Steven Butala: But Jill and I, to buy a primary residence, we’ve done this where we focus on one tiny neighborhood, it’s probably 50 or 80 properties, and we send out a mailer, but it’s priced like we want to buy it ourselves. Steven Butala: So it’s priced at 80% instead of 30% of what the retail value is. You’re going to buy some property that way. Steven Butala: A bunch of properties actually on a tiny little mailer. Jill DeWit: Yup. I remember this one I was just thinking about. One of my favorites was this property in Modoc County, California. It was like five or 10 acres. I didn’t even know what it was worth. I didn’t know, I just knew you had sent out the mail, I’m doing my usual things, this was years ago, closing the deals. And it was gorgeous, but I’m like, “What’s so special about that?” I think the guy that bought it from us, was a home run for him because he could not close that deal fast enough. Steven Butala: Oh I remember that deal. Jill DeWit: Yeah, and it was just like … And you know what? I didn’t care. So you know, I’ve been on the receiving end. This is good to say too. I’ve been the seller going, “You know what, good for you. I know that I got what I wanted out of the deal. If you kill it, fantastic, and by the way, I know you’re my customer for life because you’ll be coming back to me for more of those.” And that’s what happens. Jill DeWit: I’m not sure what it is. Steven Butala: I know exactly what it is. Jill DeWit: I’ll have to think about this one. Is it … I’ve got a few good ones. All right, and we answer your questions, plus in our online community, landinvestors.com. It is free. Steven Butala: You are not alone in your real estate ambition. It’s interesting to do this without headphones, Jill. Jill DeWit: I like it better without headphones. Jill DeWit: Yes, I can breathe, I can hear. I’m not like in a tunnel. No, like Princess Leia. Steven Butala: I’m trying to get used to it. Jill DeWit: It’s good, it’s really good. Wherever you’re listening, wherever you are watching, please subscribe and rate us there. We are Steve and Jill.